Over the better part of at least the past 15 years, Ohio livestock producers have increasingly experienced problems with black vultures. Unlike its red headed cousin the turkey vulture that feeds only on the carcasses of dead animals, black vultures are an aggressive bird that will, on occasion, kill other animals for food. It’s not an uncommon occurrence for a black vulture to attack a cow or ewe in the pasture while in labor in an effort to prey on the newly-born offspring even while still in the birth canal. While black vultures and turkey vultures are often seen together, they are actually different species. 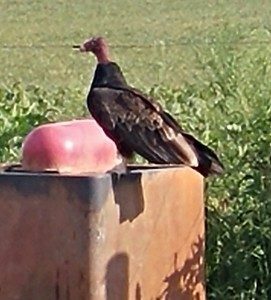 Turkey vultures are recognizable by their red heads. The black vulture has a black head and appears smaller than the turkey vulture with shorter wings. The undersides of their wings have white tips which can be seen while in flight. 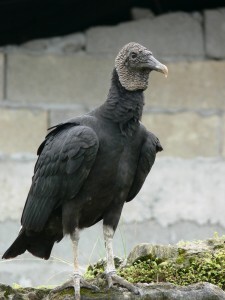 Black vultures are considered to be migratory birds and are thus protected under the Migratory Bird Treaty Act of 1918. Simply put, this makes it unlawful to take, capture or kill the birds without a Migratory Bird Depredation Permit. Typically a permit would cost $100, but the U.S. 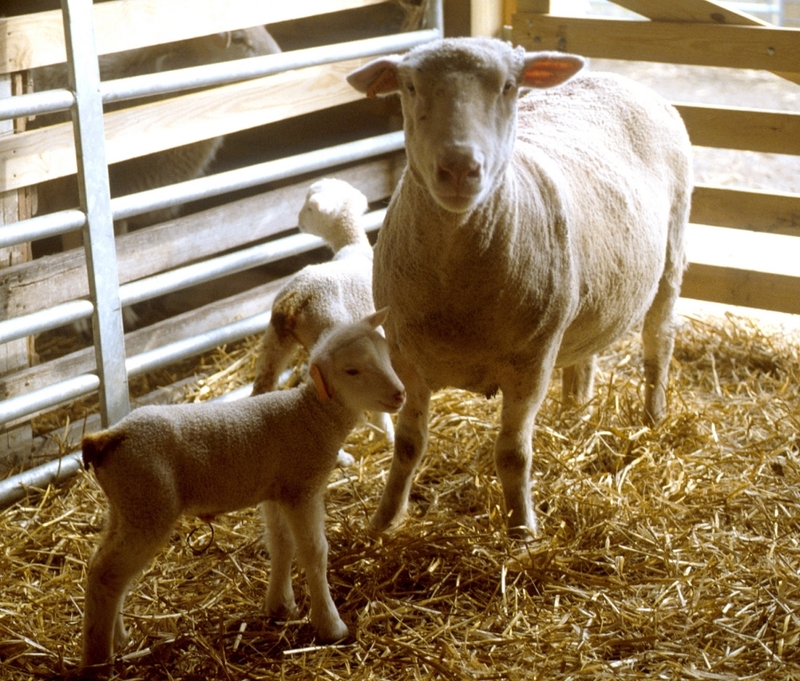 Fish and Wildlife Service (USFWS) is presently waiving this application fee for livestock producers who are applying for their first permit. To initiate the permitting process livestock producers experiencing problems with aggressive black vultures should call the Ohio USFWS office at (866) 487-3297 or (614) 993-3444. The entire permitting process requires only about a day or two. Permits to take black vultures are good only for one calendar year and then must be re-applied for. 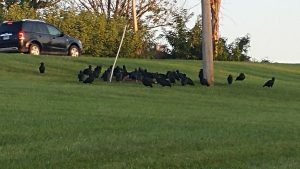 If producers have a history of black vulture problems, Ohio’s Wildlife Services officials suggest that producers make application for the permit at the first of the year or prior to the commencement of calving season. During the permitting process the number of birds that may be killed will be specified. After a permit has been obtained and a bird has been acquired, it can be used as an effigy to keep other vultures away. Perhaps remarkably, vultures will not go within eyesight of another dead vulture. In instances of highly variable and hilly terrain within a calving pasture, multiple effigies may need to be utilized in order that one is visible regardless where the animals may be located in the pasture at any given time. 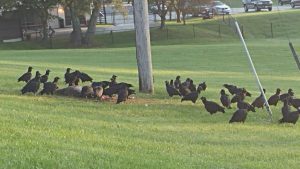 More than 40 Black Vultures in the city of Lancaster, OH on October 3, 2016. While permits can allow multiple vultures to be taken, if long term placement or multiple usages are required, it may be a consideration to have the bird prepared by a taxidermist and then treated with a spray on preservative such as Scotch Guard for leather. When mounted, the posture of the prepared bird should resemble that of a dead bird hung by its feet with one or both wings hanging down in an outstretched manner. For short term placement (up to 3 months, depending on weather conditions) and if odor is not a concern, then an intact carcass can be used. It’s recommended that producers follow the USDA-APHIS “Guidelines for Using Effigies to Disperse Nuisance Vulture Roosts”. Posted by Braden Campbell at 8:00am January 2, 2018 Posted in Predators and tagged Management, Predators. Bookmark the permalink. ← Even with Forages, the End of the Year is the Time to Plan!